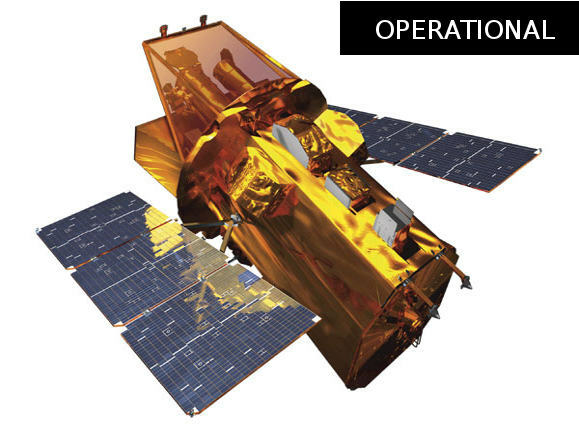 Swift is a NASA mission with international participation dedicated to study the Gamma-ray bursts (GRB), which are the most powerful explosions the Universe has seen since the Big Bang. They occur approximately once per day and are brief, but intense, flashes of gamma radiation. They come from all different directions of the sky and last from a few milliseconds to a few hundred seconds. Its first goal was to try to understand their origin but nowadays it is possible to undergo different studies, for example in Supernovae explosions or Active Galactic Nuclei (AGN). Swift has an UV/Optical Telescope, named UVOT, that can be used for UV studies. More information about how to submit a proposal can be found in Swift's web page. Swift is part of NASA's medium explorer (MIDEX) program and was launched into a low-Earth orbit on a Delta 7320 rocket on November 20, 2004. The Principal Investigator is Dr. Brad Cenko (NASA-GSFC).